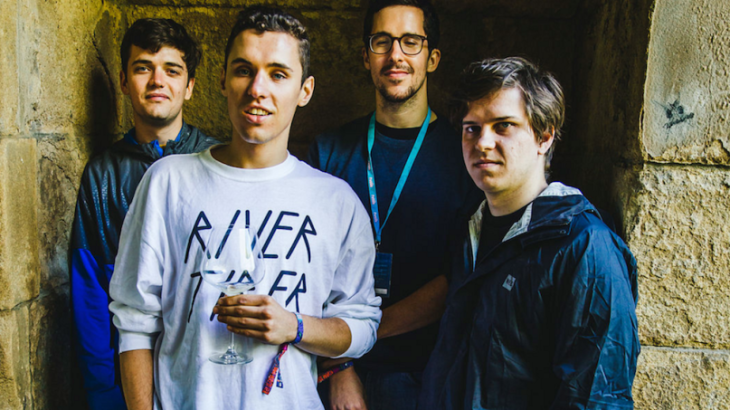 Interview: BADBADNOTGOOD, "It’s Impossible To Stick To One Sound"
This Friday, Canadian quartet BADBADNOTGOOD will be releasing their fourth solo album, IV, having last releasing Ghostface Killah collaboration Sour Soul last year, and third solo LP III the year prior. The album, as we have discussed in our review, is simply phenomenal. Incredibly rich and versatile, it traipses from jazz, to hip-hop, to electronic and beyond. This marks the first time that the quartet (who were previously a trio but have now officially welcomed Leland Whitty to the group) have brought vocalists into their tracks, as well as other collaborators including Kaytranada and saxophonist Colin Stetson. It has been an unbelievably fruitful year for amazing new music, and this is easily one of my favourite albums of 2016. I was lucky enough to interview the band ahead of their official release. If you can’t wait, the album is already streaming on Apple Music. BBNG III was your first album of totally original work, and on IV you’ve taken that so much further with piles of new instrumentation and guest vocalists. How far did you want to stretch your sound? What was behind the decision to bring guests on board? Since we recorded and released III, we’ve been writing tons and tons of stuff inspired by all different sources. We were touring heavy after the release so we got exposed to a huge range of really talented artists at different festivals, and had many friends putting us on to great music from the past also. We wrote a whole batch of songs that were instrumentals early on in 2015, and recorded a few of them. After sitting on those for a while we decided to start from scratch, so starting in fall 2015 we began writing and recording the songs that became IV. We had a bunch of sessions booked with the very talented artists that appear on the album, and had some amazing creative times with them. There was no defined direction when we started, and we reached a point when we had so many different styles of song that we didn’t know what the album would even sound like all together! For a while we were still going to make it an all-instrumental album, and then we tossed together a salad of some of the amazing featured tracks, along with some instrumentals and it ended up working out! There’s such a range of sound and style on this album; at some points it feels your most identifiably jazziest, like the Coltrane-sax on IV, but then you’ve got this spooky, slinky instrumental on Structure No 3, and obviously the features with Kaytranada, Mick Jenkins etc. are so diverse. Did this spread happen consciously, or more a result of just everything you’ve been listening to and playing? It wasn’t very conscious when we were writing everything. We didn’t have any idea what the album would end up like, and I think the spread that happened is an honest reflection of where we are at musically. Making music is so fun for us it’s impossible to stick to one sound! The tracks with guest collaborators are incredible for many reasons, notably including their diversity. Time Moves Slow feels so heart-wrenching, soulful and incredibly responsive between vocals, instruments and rhythm, while Hyssop of Love has this woozy eeriness that complements Mick’s vocal tone perfectly. Can you tell us about how these collabs came to be, and if each was written with or for the guest artist, or ahead of time? Thank you! The song with Sam Herring (of Future Islands) came about because we did a remix of “Seasons” by Future Islands in 2014. As part of that agreement, us and Sam were supposed to get together at some point to work on original music. He came through our studio last fall and we spent three days in a magical creative journey! Time Moves Slow took shape with all of us sitting in the live room of our studio and tossing around ideas. The four of us were on instruments, and Sam was sitting with a notepad, pointing whenever he heard something he liked. That’s actually the way all the collaborations worked out, we were very lucky to have everyone to our space and create everything all in the same room, it was a very special process because it’s hard to get people to record in person in 2016! Hyssop of Love came about in much the same way. We had been fans of Mick’s music because he’s an incredibly talented rapper/lyricist (and singer! ), and got the chance to meet in the studio last summer through a Red Bull session. The song was again made in our studio, with all of us in the same room recording, which is super rare especially for hip-hop these days. We basically tried to make something that was atypical for a rap beat, and it worked really well because Mick is such a versatile artist. His own music has so much variety to it so it was a really natural process. It was a real pleasure to work with both of those guys. Despite all that diversity, it still flows remarkably well, and is a genuine pleasure to listen to start to end. How difficult was putting this tracklist together? Very difficult! I think we kept having the problem that we would like a few songs together, and then the rest as stand-alone tracks. Until we just committed to making it work we had no idea what the trackless was going to be. Even then we were skeptical on it, but our final thoughts were basically that it’s a honest representation of how wide our influences are and the range of what we like to do. One of the unifying factors is that we wrote and recorded everything at our studio, including the collaborations, so there’s a consistent sound because of that. How much of the music is planned ahead of recording, or does it all evolve more spontaneously in the studio? Do you ever use scores or written down chords at all? It’s very spontaneous! For some songs they’ll evolve from a little idea someone has, but they always go through a stage where all four of us play them in the room and try random ideas. It was great to write the feature songs with all the different artists, adding another mind to the process is really interesting and fun for us. We never write anything down but we’re working on putting together sheet music for the album in case anyone wants it! Leland Whitty is now an ‘official’ member of the group, although he’d been playing with BBNG on and off for years. What led to the official addition? We’ve wanted to play with him full-time for a while, but it’s only been a reality in the last year and a half or so. As we kept growing as a band and getting more incredible opportunities, one of the first things we wanted to do was play more shows with Leland. When the Ghostface album came out and we had to play shows with him, we brought Leland on to play guitar, and following that he did every show with us! For the past year or more he’s been at every studio session and writing session too. He plays about 25 instruments so it’s been a blessing to have him in the band. One of my favourite instrumental tracks is Chompy’s Paradise. It’s so subtly sublime, and feels like it could have been lifted from the soundtrack to an early episode of Charlie’s Angels or something like that (in a good way). Could you tell me a bit about this track and its composition? Also, who or what is Chompy? Thank you!! That song came about in a really special organic way. We set up a bunch of synthesizers in the live room and were jamming on them, which is something we normally do after the rhythm track is cut already. It led to some really cool sounds, like the Juno-60 chords under the whole thing, and the weird slide-guitaresque sounds played on a CS60. We also added a pretty elaborate arrangement with different woodwinds and horns which made a really neat dichotomy of acoustic and electric. Chompy Lee is actually Leland’s nickname! In fact, almost the whole album feels like it has a very 1970s feel to it. Not necessarily the vibe of each specific track – it’s so varied, as aforementioned, but the chords, keys, progressions and smooth rhythms, as well as a lot of the percussion, and strings, like In Your Eyes. Am I totally off the mark or was there a sort of vintage influence to the overall composition? You’re totally on the mark! The vast majority of the music we listen to is from the 60’s and 70’s. We’re obsessed with Brazilian music, which is where a lot of those elements come from. We also have a deep love for old soul, psych, and jazz music, and newer electronic and hip-hop stuff, but the overall sound we go for is heavily informed by records from that era. Confessions Pt 2: wow, this track is particularly ridiculous. Will you be performing live with Colin any time soon? Also, what connected Confessions Pt 2 with Confessions from III? Thanks!!! He’s a very busy guy but we would be honoured to play live with him. That track shares a lot of nerdy musical similarities but it also just has a similar feeling. It’s like the more aggressive intense cousin of Confessions. For your live performances, what are you planning for the tracks with vocals? Will you be performing them as instrumental tracks, or with pre-recorded vocals etc.? We will probably not be doing any of the vocal songs in our own set, unless we’re lucky enough to have them out to sing! The songs are so special and we feel we couldn’t really do them justice. We are doing quite a few instrumental songs from the record and trying to work in a lot of new material. Maybe one day down the road we could do a show with a few of the different artists! We had the chance to play the song with Charlotte live a few times, and the Sam song once as well which were both great experiences. You’re essentially jazz musicians in a world where many people aren’t that interested, or perhaps less comfortable with the notion of ‘jazz’ than other areas. Through your music, are you trying to introduce jazz to someone who might usually ignore it or is it more that you just wanna make the music you wanna make? In other words do you want to educate, or simply play? We just try to make the music we like that combines all our different influences! We wouldn’t even call ourselves jazz musicians necessarily, although jazz determines how we write and play everything. It’s such a valuable field of music and if you learn anything about jazz it’s applicable in any situation.That said, we take influence from so many other places and just try to do our thing! If we are encouraging people to listen to jazz who wouldn’t have otherwise then that’s amazing, but it’s not something we set out to do. Moving forward, do you feel like you’ll work with even more guests for V or other releases, or will you keep it a split between instrumentals and guest features? Similarly, are you planning any more Sour Soul-style full collaborations? We are definitely planning all of the above. We have quite a few friends and people we’ve met along the way that we would love to work with, on full albums or single songs. We want to basically be in studio 24/7 creating! Delving into film scores and video game soundtracks and things like that have always been an interest for us as well. BADBADNOTGOOD’S IV is out this Friday, July 8 via Innovative Leisure.